Service aprons with two pockets in front are for people working in restaurants with demanding jobs. The aprons can be made in different colors depending on your requirement and the size can also be varied based on your specification. These service aprons can protect your uniform from spills, splashes and other stains.These food service aprons vary in length to provide more or less coverage. If your staff is tackling messy jobs, make sure they use long waist aprons to protect their clothes. 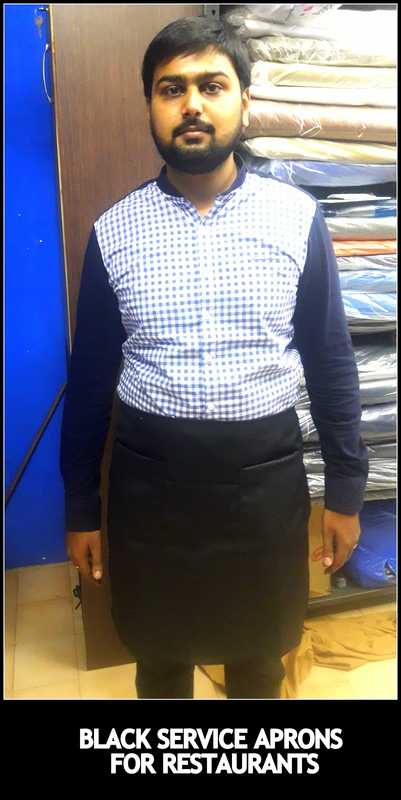 For your service aprons needs in different blends of textile material call us now at 9176634635. We would be happy to help you.